Home» Ethical Hacking | Tech News » [Mr Robot Hack] What is USB Rubber Ducky Explained? Hello friends how are you ? hope you are doing good. 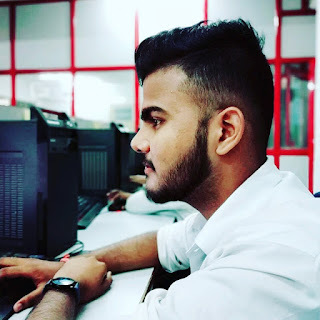 I am present today with a new post in front of you which is a very important part of ethical hacking. In this post i am going to tell you fully explained on “USB Rubber Ducky” or “Mr Robot ” If you keep a little bit of knowledge in hacking, then read this post to the last. What is USB Rubber Ducky? USB Rubber Ducky or Mr Robot is a kind of hacking best weapon, which can also be used by a normal person, which is very rare in this field. USB Rubber Ducky is like a simple pendrive, but it is a kind of HID device that allows you to inject any keystroke in any system. With the help of USB Rubber Ducky, you can easily hack any system and steal the victim important data. And the most important thing is that it does not even detect any antivirus. Friends, you can also inject any payload with the help of USB Rubber Ducky. How To Hide IP Address In Any Android Device? How To Hide File And Folder In Android Device Without Any Software? This is such a HID device, which prevents Victim to be impossible. Because it does not detect any firewall and antivirus because it acts like a HID device. HID means Human Interface Device.HID means those devices that take input from the human, like mouse, laptop and keyboard etc. When we connect Rubber Ducky to any system, it reacts in the system as a keyboard, in which free define keystrokes are stoked. Now when we plug it into the computer, the computer thinks that a keyboard has been added to it. And as soon as you connect the USB Rubber Ducky to the computer, keystrokes are also run. Because of this, neither computer can understand that it is being hacked and neither can it detect firewall and antivirus being used. In this way, USB Rubber Ducky makes its work smoothly, and nobody knows anything. 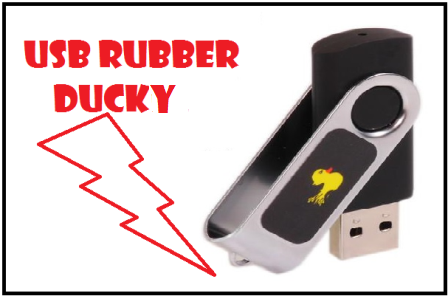 USB Rubber Ducky is a kind of key injection tool, which works even faster than the Something 1000 Word / minute speed. We can use it both in milecius and nonmilecius keystroke. The tool is most popular among hackers, penetrating testers and professionals. Now Friends, I want to tell you how many people use it. Suppose a person has an employee in a company and if the person wants to steal the system data from any other employee, then he will be setup and ready in the USB Rubber Ducky, and as soon as he goes somewhere for an Employee, that using USB Rubber Ducky, the data of that Employee can be stolen. If you liked this post, please do not forget to share it, without your support, I can not reach this knowledge even further, so help me by sharing my post so that I can bring you a tricks more than one To share the post ,you can use the share buttons given below, and , If you face some problem please drop your email by going to contact us section of this site.